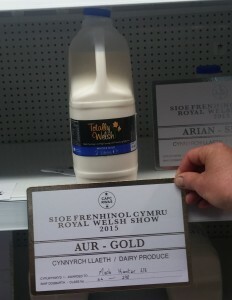 This was the first year for Totally Welsh to enter into the The Royal Welsh Show. The dairy produce class was judged by the world renowned food critic and food writer Charles Campion. 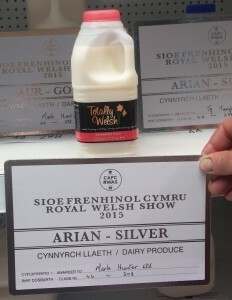 We were awarded Gold in our Whole Milk and Silver in our Skimmed Milk.